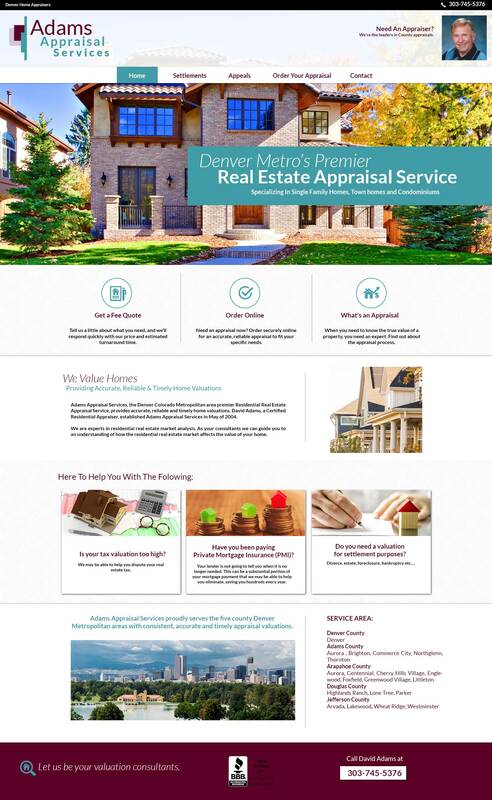 Adams Appraisal Services, the Denver Colorado Metropolitan area premier Residential Real Estate Appraisal Service, provides accurate, reliable and timely home valuations. David Adams, a Certified Residential Appraiser, established Adams Appraisal Services in May of 2004. We are experts in residential real estate market analysis. As your consultants we can guide you to an understanding of how the residential real estate market affects the value of your home.